April is National Garden Month, and did you know that gardening can actually give you a good workout, in addition to growing nutritious food and beautiful flowers? It is true, and we have some tips to help you make the most of your gardening this year. Being honest here – quite a few of us work out because we like to eat. There are plenty of people who just love the positive effects of running, biking or a Zumba class. But there’s a certain subset of fitness center members who literally hit the gym because they have no interest in counting calories, skipping the buffet line or cutting back on full fat lattes. For those folks – and even for the overachievers in the front row of spin class with the tension knob all the way up – I have excellent news. You could in fact skip the gym entirely if you devote yourself to vegetable gardening. And even more, the harder you work that garden, the more amazing and healthy food you’ll produce at harvest time. It’s a total win-win for those of us who take our eating seriously and still want to squeeze into that modest swimwear this summer. Understandably, this may all sound too good to be true. 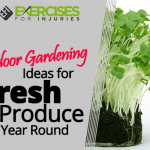 So just in case you don’t buy it, we checked in with the experts over at the Center for Disease Control and Prevention (CDC), to see what kind of stats they’ve come up with concerning gardening for fitness. 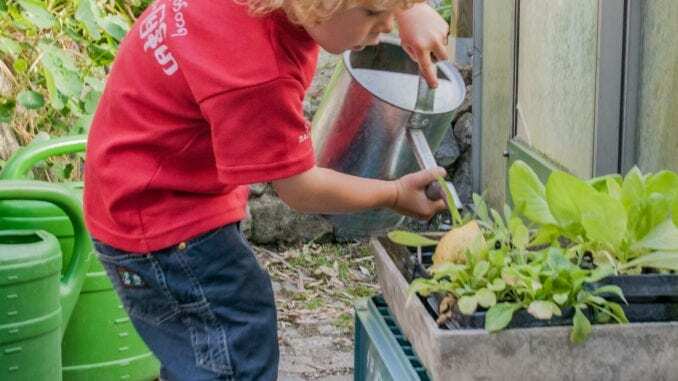 With that established, we’ve put together a little guide to help you get the most out of your spring gardening and get in shape for summer fun this year. 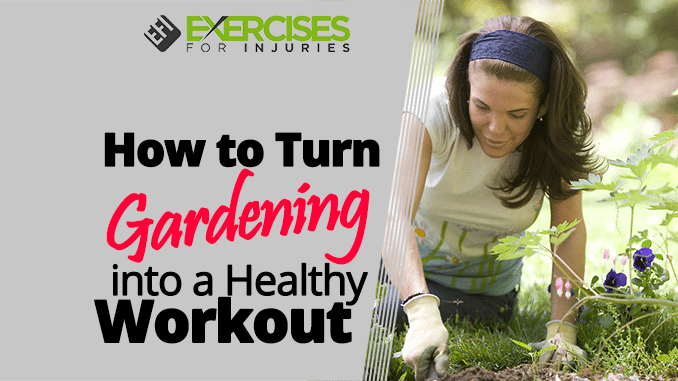 Read on to find tips on how to turn gardening into a healthy workout. Plan to consistently put some time into your turf. 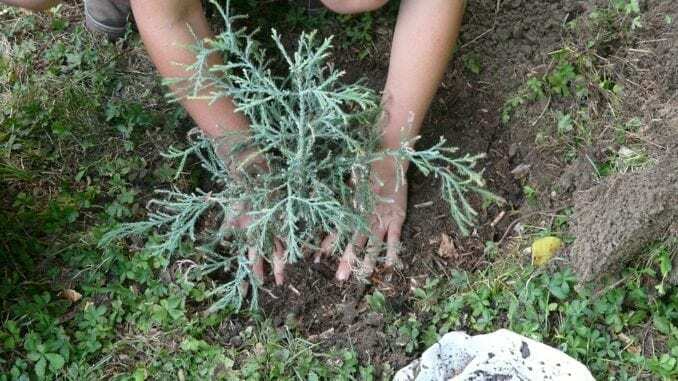 To get the most fitness benefit from backyard chores, aim to spend around 45 to 60 minutes in the garden, every other day, through the week, and 90 minutes on one of the weekend days. For each day you spend tending your crops or manicuring the yard, allow yourself to bypass the gym or your morning run. Stretch before you begin. This isn’t a social meeting of The Lilac Ladies’ Garden Club. It’s you working that earth like a boss. You’ll need to limber up a bit before things get real. Spend some significant time stretching out your upper back and shoulders, bending, lunging and squatting in preparation for your work. Take care to loosen up your neck, wrists and fingers as well. Five minutes of yoga on the grass may also help you work out some kinks while establishing a soothing connection with your surroundings. Have some water handy. Even though it’s tempting to keep your coffee thermos by your side while gardening in the morning, opt for a quart of room temperature water instead. The National Center for Biotechnology Information (NCBI) recently studied hydration and how it relates to exercise performance. They found that, in most situations (and particularly when working outside), drinking appropriate amounts of water does, in fact, greatly enhance a person’s overall exercise performance. During your gardening work, plan to drink eight ounces of water every 15 minutes – and more if you’re feeling thirsty or sweating considerably. Counteract the tendency to slack off by making a playlist (or a mix-tape if you’re ‘old school’) with music that gets you going. Need some suggestions? Start out with the classic inspirational, Eye of the Tiger, by Survivor, at 110 beats per minute (bpm). Then step up your game with Push It, by Salt n’ Peppa at 130 bpm. Keep moving with Gangnam Style. (Even if you’re over the age of 14, it is clinically impossible to listen to this song without moving.) Then crank it up to 160 bpm with Travolta’s peppy performance of Greased Lightning. Stick with other favorites at 160 bpm or greater, until you’re ready to cool down with Billy Ray Cyrus’s Achy Breaky Heart and other songs around 120 bpm. Slow your pace (and heartrate) further with Abba’s Dancing Queen at 100 bpm and so on. Music is a fabulous motivator. And a good playlist provides an excellent way to structure your workout. Tend to your soil. Digging, raking and hoeing are intense, difficult tasks that can really work your core and upper body muscles. Work in reps and ensure that you alternate sides. Complete 20 motions on one side with the shovel, rake or hoe. Then switch to the other side for 20 more. Between tasks, place the rake behind your neck, horizontally. Put your hands up, behind the rake and grasp it. (The way you might hold a squat bar behind your head). Then slowly twist the upper torso to the right, back to center, then left. Use deliberate, controlled movements. Complete ten reps each time. Don’t get comfortable with the weeds. Instead of sitting while you pull weeds, consider squatting for each weed and standing up after. At the very least, make it a rule that you don’t kneel or sit while you’re pulling weeds. Stay on your feet and put your trash bin at the far corner of your garden. Then make several trips back and forth, during your weeding session. Walk briskly or jog to the bin each time. Plant and water your crops. Of all the activities in the garden, planting seeds and watering them may be a couple of the least strenuous tasks. However, you can still work up a sweat while you water and plant. Since you have to water larger trees for one or two minutes each, challenge yourself to sit in a modified chair pose while you water the tree trunks. As for planting, consider completing a few push-ups, half-burpees or jumping jacks between rows of seeds. Prune your trees. Invest in a manual pruner and you’ll never have to hire a tree service to come and trim your high branches. With your arms above your head, pruning will help you keep your heartrate up and give you a stellar workout. Be sure to alternate dominant hands again. Have the right hand over the left for ten minutes. Then reverse the order for the next ten minutes to get good exercise on both sides. Got an elderly neighbor? See if you can prune his trees while you’re at it. Use a manual push lawnmower. Find yourself a high quality, manual push mower with good, sharp blades. Then mow in rows, just like you would use a gas powered or electric lawnmower. 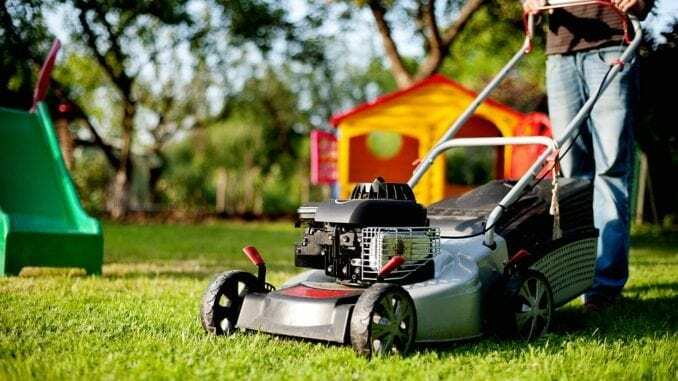 You’ll burn twice as many calories with a push mower and it’s also better for your lawn. Because push mowers cut your grass in a scissor-like fashion, instead of tearing the blades of grass as gas-powered units will do, your yard will be the best looking on the block. 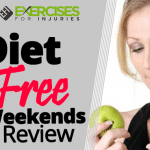 Your chest, shoulders, glutes and calves will also be looking good. Use a wheelbarrow. Once you’ve got a nice pile of branches and other garden debris to remove, squat, lift and stack it up in the wheelbarrow. Then begin hauling it away. Using a wheelbarrow requires balance and an engaged core. Keep it all nice and tight during this exercise. Consider taking five laps around the yard with each load of yard waste before you dump it. Extra points for hauling the kids around, for five laps each, when you’re done. Overall, gardening is a fantastic way to get moving and stay in shape. The chores we do in the yard help increase our overall range of motion, make our joints stronger, improve balance and give us greater flexibility. We have the opportunity to strengthen our core, tighten up the backside and burn loads of calories while we maintain a garden. It’s one of the most practical forms of exercise in the world and one that is available to most of us. Aside from the physical benefits, if you’re out in the garden, planting and tending to vegetables four times a week, chances are you’ll end up with a bountiful harvest pretty soon. Fresh berries, cucumbers, green onions and sugar snap peas will be bursting forth for you to enjoy. So this year, consider picking up a pair of gardening gloves and taking on the backyard. You’ll get some great exercise and hopefully a table full of delicious produce. After all, you can’t get a beautiful harvest of tomatoes after six weeks on the stationary bike, at the gym. 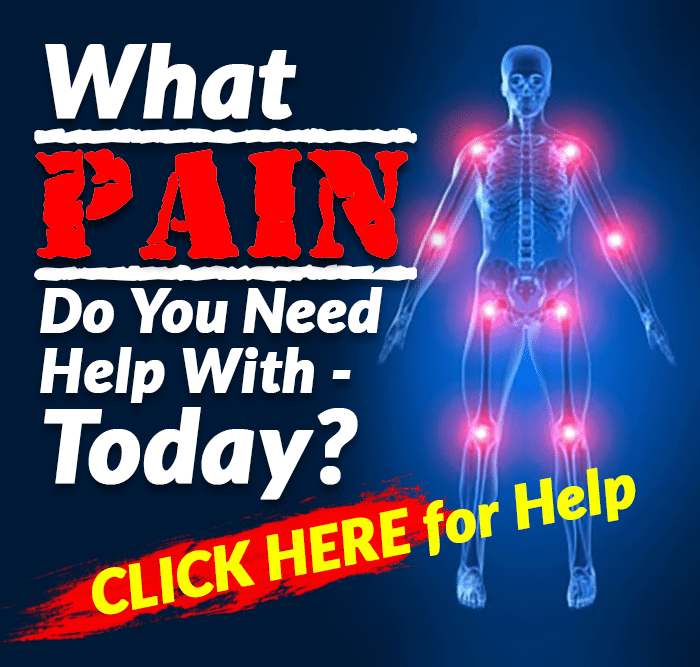 If you want to learn the secrets of foods that will help you turn back the hands of time and restore your natural vitality and slimmer body, then click here to check out the Best Foods that Rapidly Slim & Heal in 7 Days program.